Brek Shea scored before the half, but a late goal from Valentin Stocker forced the United States to settle for a 1-1 draw to Switzerland Tuesday’s international friendly at Stadion Letzigrund in Zurich. Shea scored on a brilliant free kick from distance during first-half stoppage time to give the guests the advantage going into the break. Stocker spoiled the U.S.’s bid for a victory when he pushed through a point-blank shot in the 80th minute. Jozy Altidore was issued a second caution and subsequent red card in the 70th minute, forcing the U.S. to play a man down for the final 20 minutes. Boston College alum Alejandro Bedoya found an early chance when he headed a cross from Shea on frame that was collected by Swiss keeper Roman Burki in the 32nd minute. Bedoya went 76 minutes before he was spelled by DeAndre Yedlin. 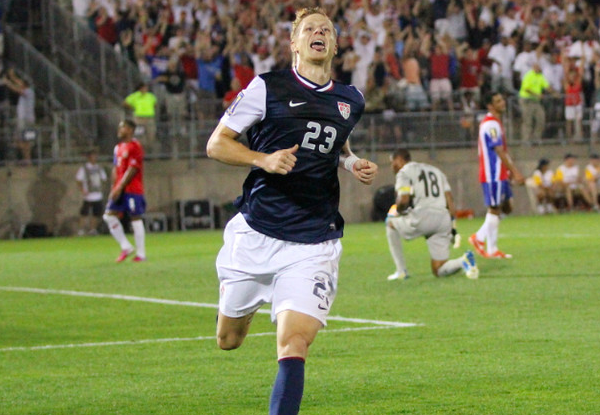 Jurgen Klinsmann’s squad is now 1-2-1 in 2015. The U.S. returns to action on Apr. 15 against Mexico at the Alamodome in San Antonio, Tx.